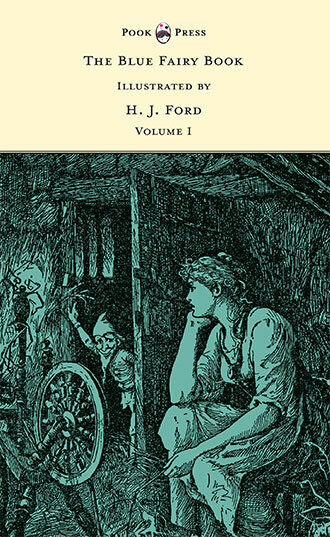 H. J. Ford (Henry Justice Ford ) was born in 1860 in London, England to Katherine Mary Justice and William Augustus Ford. He began his education at Repton School and was awarded a scholarship to Clare College, Cambridge, where he achieved a first-class degree in the Classical Tripos in 1882. Returning to London, Ford entered the Slade School of Fine art and then Bushey School of Art, where he studied under the tutelage of the successful painter, composer, and film-director Hubert von Herkomer. Ford started exhibiting with historically-themed paintings and beautiful landscapes at the Royal Academy of Art in 1892. however, it was for his marvellous contributions to illustrated books that gave rise to his fame and furnished him with an income. 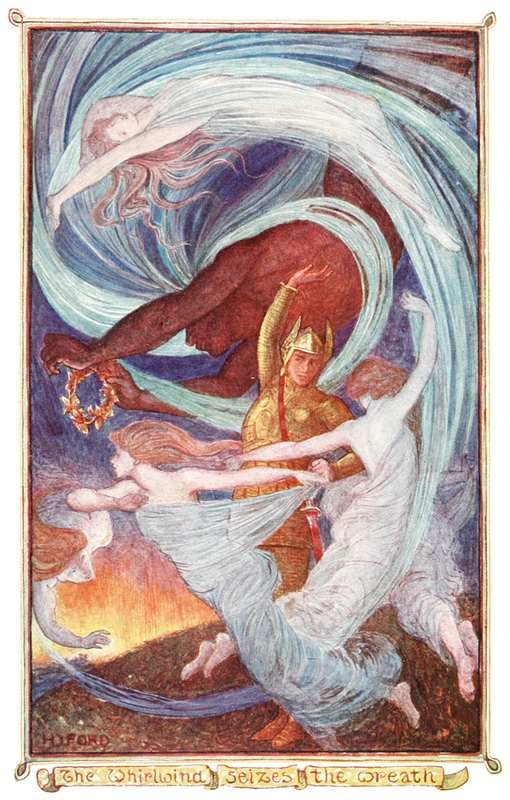 He is most famous for the wonderful illustrations that he provided for Andrew Lang‘s popular Fairy Books, which captivated an entire generation of children in Britain and saw translations and republications the world over during the 1880s and 1890s. 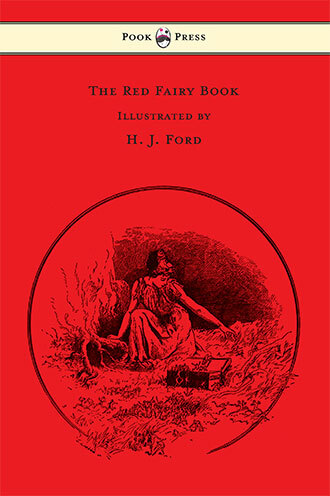 In total, Lang’s Fairy Books presented over 437 different tales taken from an array of cultures and countries that were arguably responsible for the increased popularity of fairy tales during the late twentieth century. 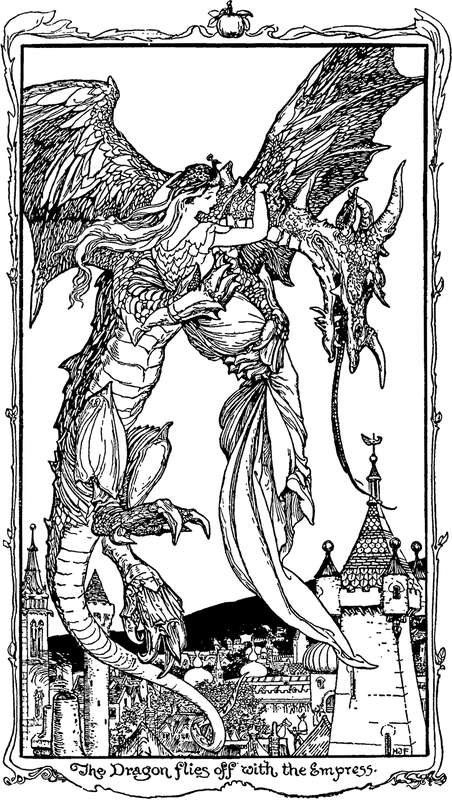 Another of Ford’s notable contributions to illustration came in the form of The Arabian Nights Entertainments (1898). 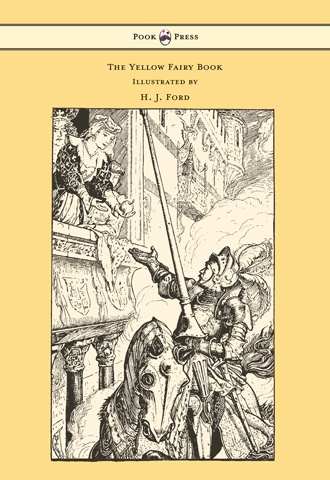 It was an edition that reproduced entirely the first English translation of Antoine Galland’s European version of the Arabian Nights, the famous collection of Middle Eastern and South Asian folk tales that date back to the Islamic Golden Age. The Arabian Nights Entertainments was the singular English Translation of the collection for more than a century and was responsible for influencing innumerable writers throughout the world. The seminal tales of Scheherazade and his endeavours to thwart the Sultan’s murderous intentions have pervaded and influenced literature like few others, introducing the universally known characters of Aladdin, Ali Baba, Sinbad, and more. 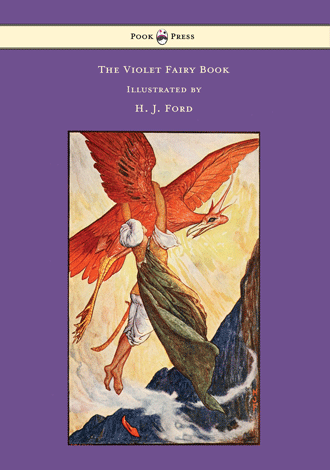 These tales, in many forms, continue to influence generation after generation, and it is no wonder that Ford’s fantastic contributions to this work furnished him with a reputation as one of the greatest book illustrators of all time. Ford’s family were well known as cricket enthusiasts. His father was a successful solicitor who wrote many essays and volumes on the sports, and his brother, Francis Justice Ford, was a member of the English cricket team. Ford was also an enthusiast and played the game frequently, often with playwright J.M. Barrie‘s Allahakbarries Cricket Club. He had a close relationship with Barrie and was responsible for producing the famous map of Kensington Gardens that appeared in Barrie’s novel The Little White Bird (1902). He was also the designer of Peter Pan’s costume in Barrie’s 1904 play. His eclectic interests meant that Ford associated with numerous other famous people, namely P.G. Woodhouse, Sir Arthur Conan Doyle, and A.E.W Mason. Ford married Emily Amelia Hoff in 1921, a widow thirty years his junior. After their union that was ratified in Kensington Register Office, the newlyweds moved to Bedford Gardens, Kensington, where they remained for some years, adopting a child, June Mary Magdelene Ford, in 1927. It is commonly believed that the female character in his painting ‘Remembering Happier Times’ represents his wife, Emily. Henry Justice Ford died in 1941 at the age of 81.